This is the Sweetcorn Pillow designed by Jet Ong. As you can see, it’s a pillow shaped like a corn cob. And like an actual corn cob, the kernels come off. 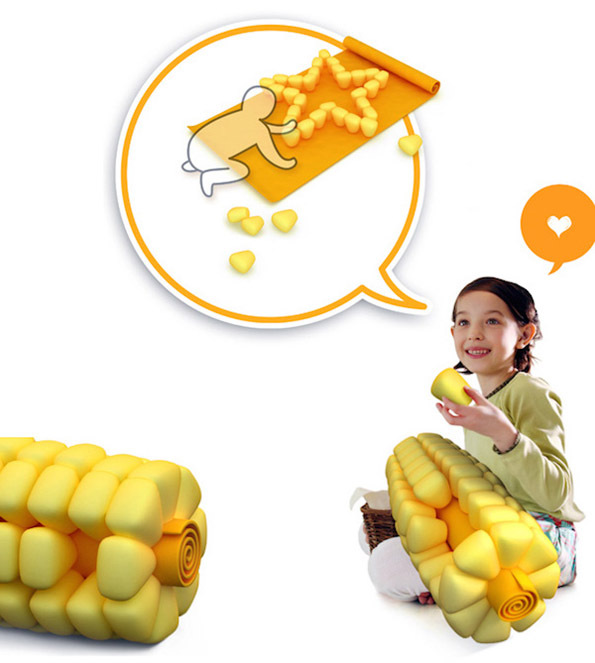 Unlike an actual corn cob, you can roll it out to be a play mat.